Trademark your products packaging, label design, packaging design with a federal trademark on-line. 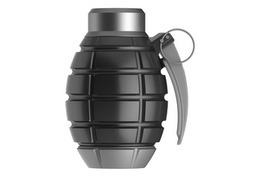 The mark consists of a 3-dimensional representation of the product packaging in the shape of a grenade body with a trigger handle, circular pin, cap and base. 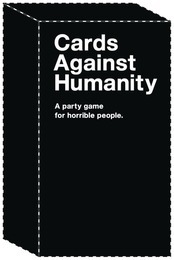 The mark consists of a three-dimensional black rectangular product packaging featuring the words "CARDS AGAINST HUMANITY" in white letters located in the upper left-hand corner of the rectangular design, with the phrase "A PARTY GAME FOR HORRIBLE PEOPLE." in white letters directly below. 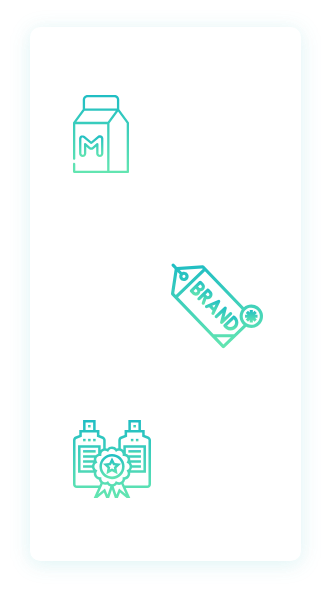 The dotted lines along the perimeter of the rectangular product packaging show the mark's position on the goods and are not a feature of the mark.  The mark consists of a three-dimensional configuration of product packaging comprising a clear bottle with white label sleeve with the wording "HARMLESS HARVEST HARMLESS COCONUT WATER" in stylized black font, a design of a green coconut featuring a white mark to represent a glare, with its top cut off, the top comprising a middle center in dark brown, surrounded by a white ring, which is then surrounded by light brown ring and has a medium brown rim on the right side. The coconut is cupped by hands shown in white and outlined in black, and a green cap design. The matter shown in broken or dotted lines is not part of the mark and serves only to show the position or placement of the mark. 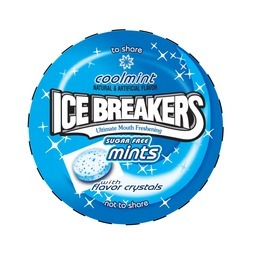 The mark consists of the wording "ICE BREAKERS" in white letters outlined in black with a white banner outlined in black underneath the wording flowing from the ending letter "S", all of which are also outlined in silver and black; the wording "ULTIMATE MOUTH FRESHENING" in blue appears within the white banner design; there is a stylized design of a white mint with blue speckles integrated into and part of a blue and white swirl design around the outer portion of the entire design, with the wording "SUGAR FREE MINTS" in white letters outlined in dark blue surrounded by a light blue background outlined in white, the wording "WITH FLAVOR CRYSTALS" in dark blue letters with a white outline, and the wording "NOT TO SHARE" in white letters outlined in dark blue; multiple sparkle designs in white and light blue appear around the entire outer edge of the mark; there is a design of a blue and white snowflake at the top of the mark, with the words "TO SHARE" in white letters outlined in dark blue above the snowflake design, and the word "COOLMINT" in dark blue letters outlined in white and the wording "NATURAL & ARTIFICIAL FLAVOR" in black letters below the snowflake design, all in the top center portion; all of the aforementioned against a blue background comprising product packaging; the broken lines around the mark do not form part of the mark but are used to show position on the container. 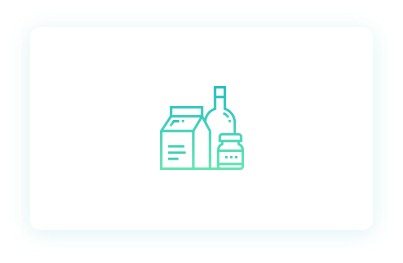 The mark consists of three dimensional product packaging for the goods and consists of the representation of a clear bottle with a cap and neck of gold color bearing the representation of a rearing centaur holding a javelin in black. 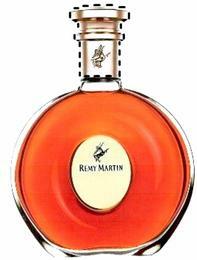 The main part of the bottle is comprised of a raised circular shape around the outer portion of the bottle and the center is indented and features a gold oval label with the representation of a rearing centaur holding a javelin and the wording "RÉMY MARTIN", both in black. The color gray represents outlining and shading and transparent areas appear in white and are not part of the mark. The brown liquid shown inside the bottle is for placement purposes only and is not a feature of the mark. 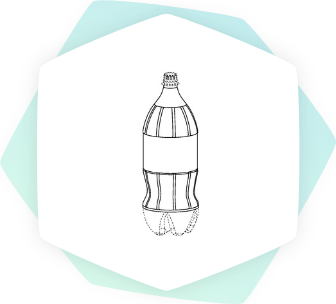 The mark consists of a configuration of product packaging in the nature of a three-dimensional bottle with a small, thin bottle neck which curves downward into a large, circular bulb-like base. The contents of the bottle are yellow. At the top of the bottle is a dark blue bottle cap shown in dotted lines, and not claimed as a feature of the mark. 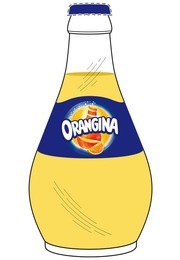 Across the mid-portion of the bottle is a dark blue label with the wording "ORANGINA" in a white stylized font and outlined in dark blue.  The wording is presented across a yellow circular pictorial representation of an orange, outlined with light blue and containing a stylized orange in the shape of a bottle shown in the color orange and with scored lining shown in yellow and white bubbles coming out of the top and falling to the left, and an orange wedge shown in orange with a lighter orange outer edge to the right of the bottle shape. 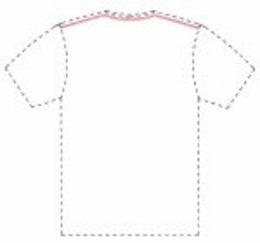 The mark consists of two parallel lines of red stitching across the shoulders and around the neckline of the T-shirts. 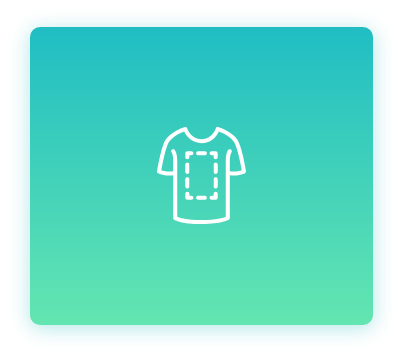 The mark is shown on a T-shirt drawn in dotted lines to show placement of the mark and forms no part of the mark. Product shapes and configurations and portions of a product can function as a trademark if they are distinctive and not functional under trade dress. Coca-Cola owns the trademark on the famous bottle design. What does non-functional & functional portions of a product mean? 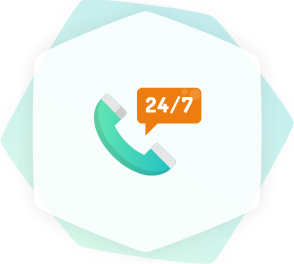 Just like any business is entitled to use generic wording in the context of their product, services and industry. 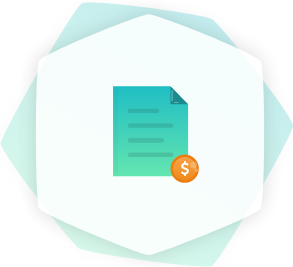 Functional matter “is essential to the use or purpose of the article or [that] affects the cost or quality of the article” and therefore any business or competitor is entitled to use the functional portions of the product. 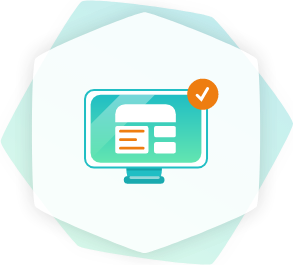 Non-functional matter related to product packaging is any portion of a product that is not essential to the use or purpose of the product. For example, Coca-Cola can claim trademark to the stylized appearance of the bottle, but not to the lip of the bottle.